Picnics! Barbecues! Potlucks! 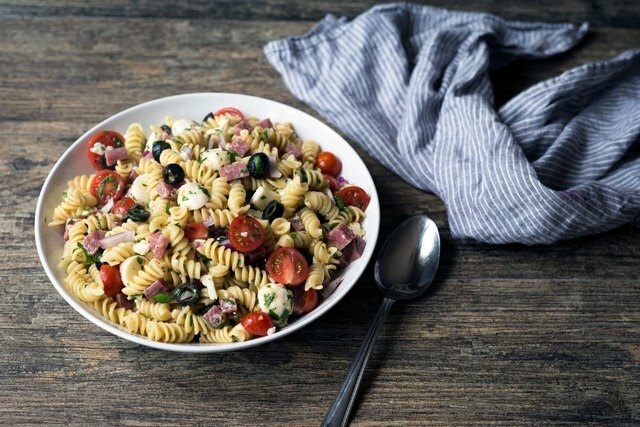 Italian pasta salad is a classic side dish that has been making the rounds at get togethers for years, and with good reason. 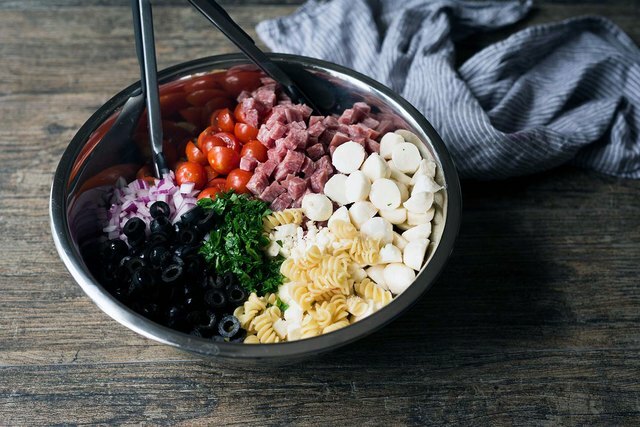 A mix of bold flavors, textures and colors, inexpensive ingredients, and a short preparation time make this pasta salad perfect for serving large groups. 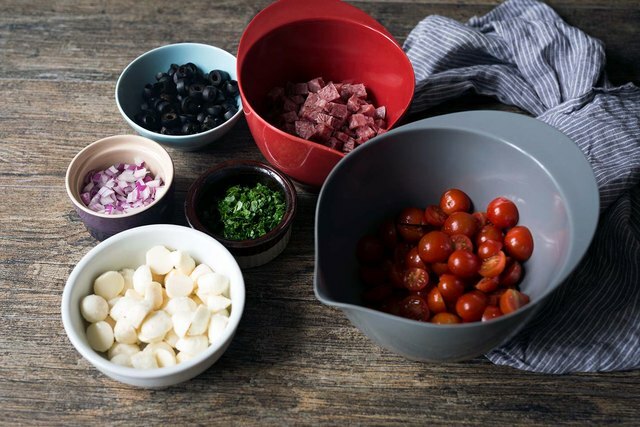 The ingredients can be sliced and diced in the time it takes to cook the pasta, and the yield should easily cover 10 to 12 people. So how is it made? Let's get started! All of these ingredients can easily be found at your local grocery store. Feel free to get creative with the quantities based on personal preference. You can also experiment with making your own Italian dressing, though keep in mind that online recipes might differ in flavor from the store-bought varieties. 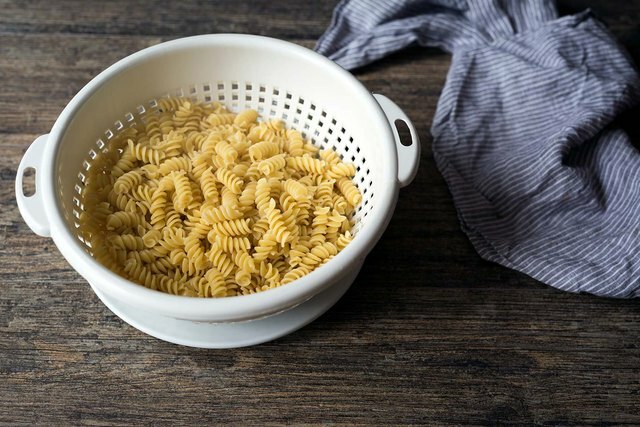 Bring a large pot of salted water to a rolling boil, then cook the pasta until al dente. 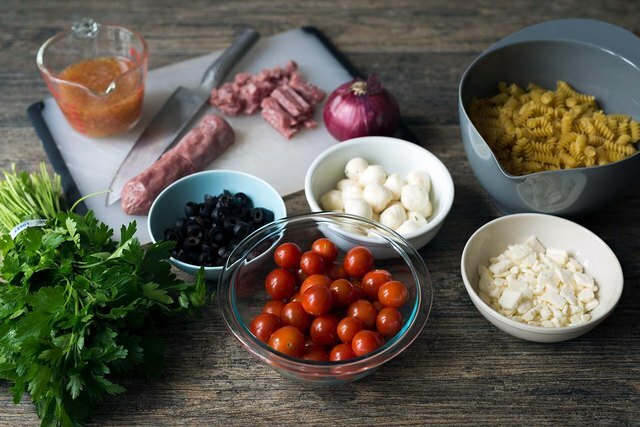 While the pasta is cooking, slice and chop all of the remaining ingredients. Drain the pasta and add it to a large bowl. 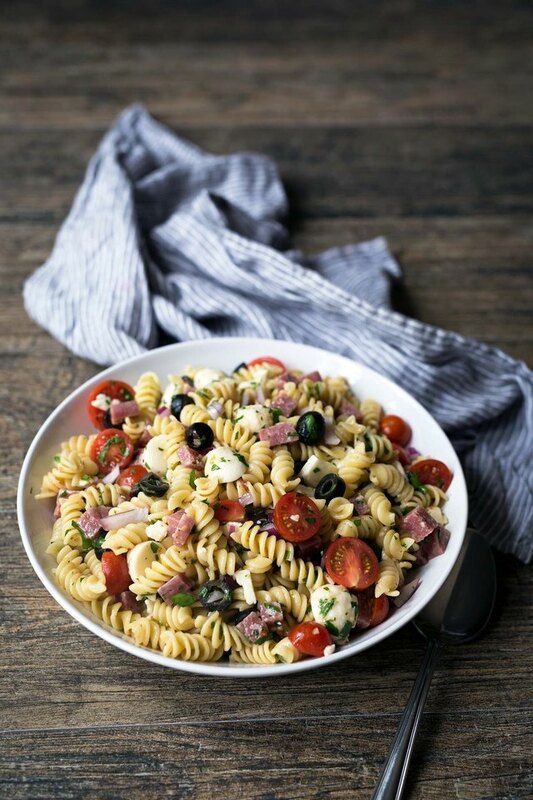 Immediately top with the Italian dressing, followed by the salami, mozzarella, olives, tomatoes, onions, parsley, feta, and any optional ingredients being used. Gently toss to combine using tongs or a large spatula. Serve immediately or cover with plastic wrap and refrigerate until needed. It will taste fresh for at least 48 hours. After that it will still be safe to eat for several days, but the vegetables will start to lose texture and flavor. This recipe yields 10 to12 servings.